I liked the distinction on that Fightworks Podcast poll, which was whether or not you see yourself as a martial artist. I'm not especially bothered if people want to call BJJ a martial art, but I wouldn't feel comfortable saying "I'm a martial artist," for the reasons you mentioned above: it smacks of mysticism and hokey ritual. However, if pressed I'd say I prefer the term combat sport. The reason for that is 'martial art' can slide into codified ideology (rigid ideologies are rarely a positive thing) and historical conservation (which by contrast can be a wonderful thing, but not in the context of an activity which requires pressure testing, as that necessarily needs the flexibility to change and adapt as things evolve over time) rather than full contact resistance training: aikido is a case in point. I really don't want to see BJJ make the same mistake, which is one of the concerns I have about the anti-competition and 'preserving the techniques of the Grandmaster' noises coming out of the Gracie Academy in Torrance (hence why I babbled at such length on the topic here), though in terms of actual instruction I remain very impressed by their recent releases. Thanks you very much, slideyfoot, for your usual insightful commentary. Indeed, I should have made plain that Fightworks poll asked if practitioners would describe themselves as martial artists, as you suggest, but I thought that the responses moved between personal identification and how to describe the discipline, itself, and were therefore relevant to my discussion. I 100% agree with you regarding the stifling nature of codified ideology – and this is a big part of why I moved from traditional to nontraditional martial arts – and I'm also not a huge fan of historical conservatism and the anti-intellectual sentimentality and nostalgia often associated with such a perspective. I further concur with and share your discomfort with the 'Grandmaster noises' you mention. I wouldn't put judo, taekwondo and karate in the same category. The big difference is training against full resistance: taekwondo competitions tend to limit the amount of contact, meaning that you are forced to pull strikes, and can even be penalised for striking too hard. In BJJ, you can apply any technique fully, because unlike a strike, there is a point at which you can stop without limiting the efficacy of the application (i.e., whether you slam on an armbar full force or gradually, it will still have the desired end effect. To damage someone with a punch, you have to put in plenty of force). I don't mean to argue that competition should be the ultimate end goal for everyone (after all, I don't compete: my views on competition are laid out here). I absolutely take your point that this would denigrate the abilities of those who aren't able to compete, for whatever reason, or whose physical attributes have declined to the extent that they can't perform at their former levels of athleticism. Rather, my point is that competition's importance should not be de-emphasised. That's because, I believe, if you rule out competition – as the Gracie Academy in Torrance have apparently done – the next logical step is to rule out heavy contact sparring. First you might limit the contact, then perhaps the target areas, then maybe the number of techniques etc. If you keep on travelling down that path, your eventual destination is compliant drilling, which would put BJJ at the same level of aikido. Of course, the line gets blurred with the example of judo. Certain techniques have been outlawed, and severe limits have been put on newaza, which arguably waters down efficacy. On the other hand, it is still full contact, and the opponent is still fully resisting. That means your ability to chuck someone on their head is still getting pressure tested, in a way that your ability to punch someone in the face in a point fighting competition is not. 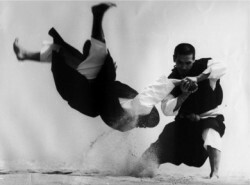 So in short: training against full resistance is essential for a martial art to remain effective. Retaining a strong competitive element is important in that context, and it also ensures continuing evolution, as you are forced to test yourself against people from outside your familiar environment. Without that catalyst, BJJ would stagnate. Thanks again for raising some thoughtful points, I really appreciate you taking the time to share your point of view, which I find balanced and well considered. While I agree that pressure testing is vital for a martial art's vigor, I feel that the rules of competition inevitably pervert an art's efficacy and the examples of Judo, Karate and Taw Kwon Do do indeed serve as a prophetic warning of what BJJ could devolve into if training is geared towards competition; Tae Kwon Do did not begin as a point-sparring art that favours legs over hands regardless of distance to target. The parameters of competition can provide a helpful and relatively safe testing ground for individuals' technique, but I believe that the desire to win within these rules leads to training that does not encompass the widest range of technique. Of the factors that concern me, I'll mention two important ones here. Firstly, emphasis; I believe that competition should serve as a complement to training rather than the end-game. In the same way as 'learning to the exam' discourages 'deep learning', so too a disproportionate emphasis on winning competition discourages a deeper understanding of BJJ. Secondly, strong emphasis on competition encourages egoism and competitive aggression, while there is a place for this, I feel this should be balanced by a high regard for mentoring and suppression of individuals' sense of self-importance. I will be returning to this subject in parts 2 and 3 and I look forward to your responses. Yeah, the difficult part is finding the right balance. Taekwondo, arguably, failed to do so. At present, I think BJJ has succeeded on that score, but could potentially be put onto the wrong path (as some might argue judo has been) if there were loads of rules changes, limitations etc (for example, say certain grips were banned, or you couldn't use chokes anymore, or you were only given twenty seconds to finish an armbar, or something like that). The other balance is promoting competition as a positive – e.g., testing yourself outside of your academy, seeing how you do under pressure, helping your goal setting in class with that clear objective to work towards – while at the same time emphasising that BJJ is not all about winning and losing, but learning. What worries me is when martial arts move completely towards the mystical angle, and forget about reality. 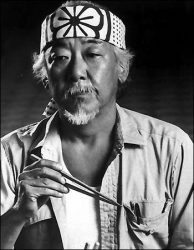 For example, the quasi-religious nature of many martial arts schools, where there is never any proof of efficacy, only whispered anecdotes about the instructor's miraculous prowess, serving as the response to any argument. That is something BJJ must avoid, and which competition prevents: after all, vague anecdotes about "yeah, I totally beat up ten guys outside a pub once, so don't question my 'monkey steals the peach' technique, grasshopper" become meaningless when there is a clear route to proving your claims in an open arena, either personally or through the successes of your students. So glad you're writing this. I woke up yesterday with the realization that of the three reasons people walk into a BJJ gym (martial art, combat sport, self defense) that my motivation falls under only two of three…the art and self-defense. If I never compete (though I might one day), I'll be fine. I'm in it for the "do" and not so much the "jutsu" as a friend of mine put it. slideyfoot, from one babbler to another, thanks again for your thoughts. I think our views are very much in parallel. I too wish to see a good balance in how the rules of competition influence the art and would, for instance, love to see more different types of competition such as the submission only tournaments in the States where time limits aren't in play. Likewise, I would like to see a much wider acceptance of the notion that competition is foremost about learning and while there are many folk out there with a positive approach I do think there can be quite a lot of negativity around the tournaments, but people are going to do what they do and it is not for me to dictate their 'tudes. Lastly, I am 100% with you regarding the imperative that all mystical death touch vibes be avoided and I think that BJJ's sparring culture really helps with that and I can see that competition can play a part there. Like I suggest in my piece, I agree with the notion that comps should have about 30% of focus. Moreover, I would like a wider acceptance that while useful, competition is what it is – a safe, controlled, rule-based environment for testing your skills in against a similarly skilled/sized/aged opponent with a high level of resistance – it is neither more nor less than this. In other words, winning or losing shouldn't, to my mind, be an important part of how an individual's progress is judged and shouldn't play a role in promotion. Hi Megan, thanks so much for your comment! I have a pretty relaxed attitude towards competing too and is nice to know I'm not alone. I would absolutely recommend competing to anyone, however, and do think it is a really valuable tool. The prep is so physically taxing and the day itself is so mentally challenging – I've learned a lot about myself under the pressure of competition and, injury/recovery willing, I would like to compete again every 6 months or so going forward. But, equally, the past two years that I've been working through some serious knee trouble and therefore not competing, I've learned a lot and my game has evolved and I'm very happy with how I've developed and my health and longevity in jits is the most important thing. If it fits with your journey, go for it, if not – no big thing. Would love to hear more about your approach; does your club have a self-defence focus, do you guys drill old school Helio Gracie core basics/self-defence, do you have pressure from those around you to compete/not compete? Wow thanks for the mention Meg. What an excellent post. I know what've been thru and while I couldn't tell you what my life would have been without BJJ I can tell you I really like having BJJ in it. My pleasure, Part Time Grappler, it is a great quote that just about sums it up. I hear you, thank goodness for BJJ! I guess I've not examined this much. Though I don't just think of it as self defense, because I want to get better at it for the sake of being better at it. To be honest, if I were just going for self defense I'd do krav maga and do as much damage as possible then get the hell away. Yet I like the idea of feeling comfortable and knowing what to do if an unwanted man gets between my legs. heh. I like the idea of knowing that if it happens that I can think of myself as being in a controlling position and being able to sweep or armbar or choke. Thanks very much for your considered response. I appreciate you taking the time to read and comment. I'm not sure what the semantic difference is between a 'martial sport' and 'combat sport', but I understand that you see traditional elements such as a gi and belt as trappings of a 'martial art' where the absence of these symbols suggests to you the fighting/combat sport side of things. I suppose my understanding of 'martial art' is less about traditional symbolism and more about one's motivations for training. While I embrace BJJ's less codified and formalised approach, I do see it as essentially about personal development, itself defined as giving up the ego and living as much for others as for oneself – this is entangled with love and loyalty. Indeed, this notion is further tied to a zen-like pursuit of something for its own sake, like you've written, where working through the process is pretty much the main thing; it's all about the journey, man. In terms of self-defence, I think that BJJ has superb and tested benefits in this area, though this was not the subject of my piece (though Slidey can't help but get himself worked up about this issue) and I'll return to this topic in forthcoming posts. My hope, in this post, was to explain that while I do accept the value of competition for BJJ training and certainly see tournaments as an essential though not the primary concern of training, BJJ for me is much more about personal growth and development and an endeavour to conquer ego rather than to inflate it. Perhaps it is unfair of me to see 'personal growth' and athletic achievement as mutually exclusive, but I do conflate the notions of 'personal growth' and 'victory over the ego' and in this context I think it is fair to see sporting emphasis and personal development as conflicts of interest. I loved competing as a white belt and it has been rather heartbreaking to me to have not had the physical fitness to compete as a blue belt; I am hoping my knee situation will be resolved enough in 2011 to allow me to make a few forays back onto the tournament mats as a purple belt. While my experience of competition is limited, I did find it tremendously valuable in terms of helping me to evaluate my training goals/progress towards those goals as well as teaching me about myself in unexpected ways and helping me to experience 'the now' in a very visceral and exciting way. That said, competition is very much a selfish endeavour and ego-driven. The process of preparation is extremely narcissistic and is 'all about me'; what am I eating, how am I sleeping, how well am I training, how am I managing my fears and anxieties – me me me. The motivation for the process also has a strongly selfish undercurrent. While folk absolutely use competition to evaluate progress and to manage their goal-oriented approaches to training, there is, of course, an element of the desire to dominate others and to prove oneself as 'the best' at the expense of others. There is much good sportspersonship at tournaments, but equally there is a lot of very poor behaviour at tournaments, which gives evidence of the light and dark aspects of competition. As far as competition's ability to 'keep it real', I think this is, in part, fallacious. Again, I accept the benefits of competition, but it is what it is, and with weight, belt and age bands and rules governing the techniques that may be applied it is a 'pressure test' within a very specific context. An important, but essentially rule-bound and restricted context. While every individual that puts themselves out there to compete deserves respect for doing something that is difficult (and scary!) and of course winners are owed their due for being most on top of their game on the day, I think that there is a worrying culture of swagger associated with medal-winning. I am of the opinion that, for instance, walking away with a bronze from a three-person division, or a gold from a two-person contest won on points, has very limited import in conferring 'badass credentials'. Again, absolutely well done for getting out there and giving it a go, but to me there is a loss of perspective that effects many (most? ), though not all, competitors. This culture is further encouraged by those coaches who promote students in light of competition performance. While I can appreciate that this is one easy way to quantify a student's progress in a like-for-like context, I personally think that promotion should be base on attitude, attendance and ability. Perhaps competition can be one gauge of an individual's ability but it is not the full story and to me a strongly sport-focused approach to BJJ cheapens the entire enterprise. In the end, 'learning to the test' in any discipline may be an efficient way to quantify individual progress, it also has the effect of discouraging 'deep learning'; this is as true for school children as it is for BJJ practitioners.